Come share your voice and your vote at our Annual Congregational Meeting this Sunday, January 29 at 10am, in English and Spanish in the basement fellowship hall. Following the program and finance informational meetings the past two weekends, this is our formal annual meeting for a congregational vote on the 2017 budget, called leaders, Council members, and other action items. Your voice and perspective matter to this community, and are needed at our meeting this weekend. Read below about a few ways voices from the Advent community have made an impact in the recent past. And join us this Sunday in continuing to equip Advent to speak welcome, love, and justice to people near and far. All our annual program, staff, and financial reports -- updated with the Proposed 2017 Budget and other financial document finalized at Council's meeting last week -- are available to read on our website so you can get prepared. Yesterday, the U.S. State Department announced that it had provided an additional $500 million grant to support the Green Climate Fund (GCF). This brings the total U.S. contribution to the GCF to $1 billion—reinforcing our national commitment to challenging climate change. This latest decision came after thousands of Lutherans and other faith advocates voiced their support for the investment last year. This included members of our congregation who responded a call in this e-letter to reach out to our representatives in Congress. "Here is example of how faith voices in advocacy made a difference," said Pastor Ann, in response to the news. The Green Climate Fund is dedicated to protecting the most vulnerable among us from the impacts of climate change. 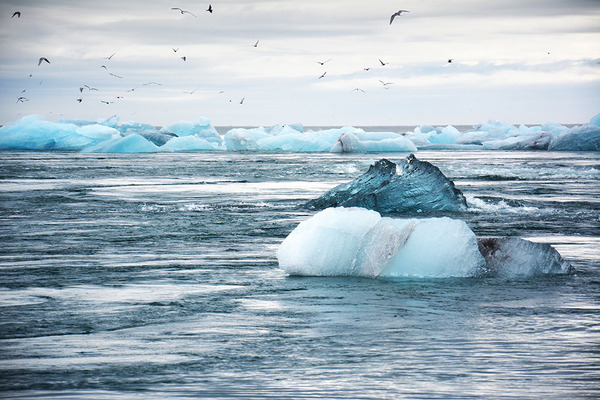 It provides funding to foster developing nations’ efforts to adapt to a changing climate, and will help communities build technologies to reduce greenhouse gas emissions. As people of faith, we celebrate the additional funding that the U.S. will contribute to the GCF because it builds solidarity in our shared responsibility to care for creation. This recent article in the New York Times helps put into perspective why our sister church members are so concerned about the recent U.S. election and the issue of migration. Being a voice of love and reassurance for our sister church community is yet another way that raising our voices at Advent matters. If you are interested in joining our annual trip to El Salvador this July, and connecting with our sister church and their experience first hand, talk to Norma Martin, who can be emailed at nmartinnyc@gmail.com . 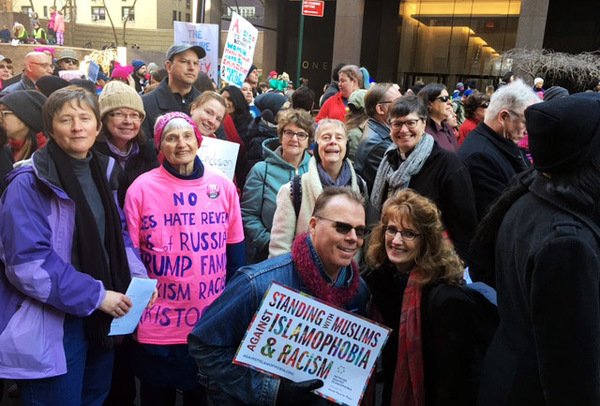 A group from Advent gathered on Saturday to join an international community marching in support of equality and promoting civil rights for every human. Being part of this historic and peaceful event was a way for some of us to raise their voices for the love and justice we seek to realize in the world. We've secured one additional opportunity to get yours or your family's picture taken for our new directory: on the same day as our Annual Congregational Meeting this Sunday, January 29. If you're interested, schedule your appointment online today! As we commemorate the 500th anniversary of the Reformation, join us for a broad array of special events in January and February. 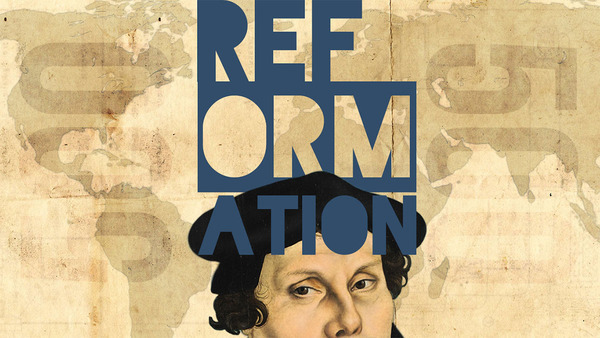 "The Forgotten Luther" Book Study | Join us at 6:30pm Wednesdays January 25, February 1, and February 8 for a study on the book "The Forgotten Luther," which focuses on the social justice aspect of Luther's theology. Books are available now in the office! Pick up yours today, and join us for this special study led by Pastor Sudbrock. Pastor Sudbrock encourages you to read the first two chapters for this Wednesday's first meeting. However, you can absolutely still participate if you haven't had a chance to start reading or don't have a copy of the book yet. Get the Small Catechism App | Check out the new Small Catechism App from Augsburg Fortress. Click here to get the app. Reformation Hymn Sing | "Here We Stand (and Sing!)" is a Reformation Hymn Sing based on the Creed. Join us for an evening of singing hymns by Martin Luther at 7pm Wednesday, February 22. What ministry or group will you be involved in this month? There are even more ways to connect in fellowship and service this January and February! Adult Conversation | You're invited to participate in the Annual Congregational Meeting in lieu of our regular meeting. We'll resume regular Adult Conversations with a 4-week study on Luther's Small Catechism led by Pastor Sudbrock, beginning next Sunday at 10am in the basement fellowship hall.